Lincoln Park, formerly known as Lincoln Greyhound Park, is the only greyhound track in Rhode Island. Lincoln Park offers year-round live greyhound racing, as well as simulcast races from other horse and dog tracks in the United States. 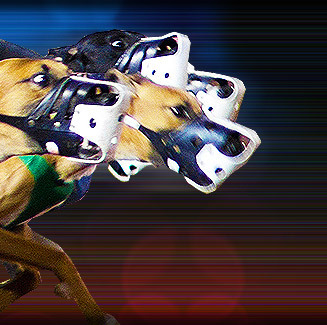 The track has awarded some of the highest dog-racing purses in the United States. Lincoln Park also offers gambling on video lottery terminals (VLTs), which look like ordinary slot machines but dispense paper tickets instead of cash winnings. Patrons can play traditional slot games on VLTs as well as other games such as poker, blackjack and keno. Lincoln Park is located at 1600 Louisquisset Pike, Lincoln, Rhode Island, USA. Lincoln Park was founded in 1947 as a horseracing track. In 1990, 80 percent of the company operating Lincoln Park was sold to Wembley PLC, a British firm. Wembley PLC bought the remaining 20 percent in 1992. Lincoln Park is now owned by Wembley USA, a Colorado-based subsidiary of Wembley PLC. In 1997, Lincoln Park was converted to a greyhound track.